The group exhibition Hier ist Dort 2 uses the example of painting to discuss processes of visualization in between reality and abstraction in a society marked by media. Rather than seeking to assume one of these extreme stances or delimit a space, the artistic practices involved attempt to semantically imbue the path of visualization. This path between places—between here and there, between the viewers, social structures and the picture, between reality and abstraction—often remains one that is merely sketched. 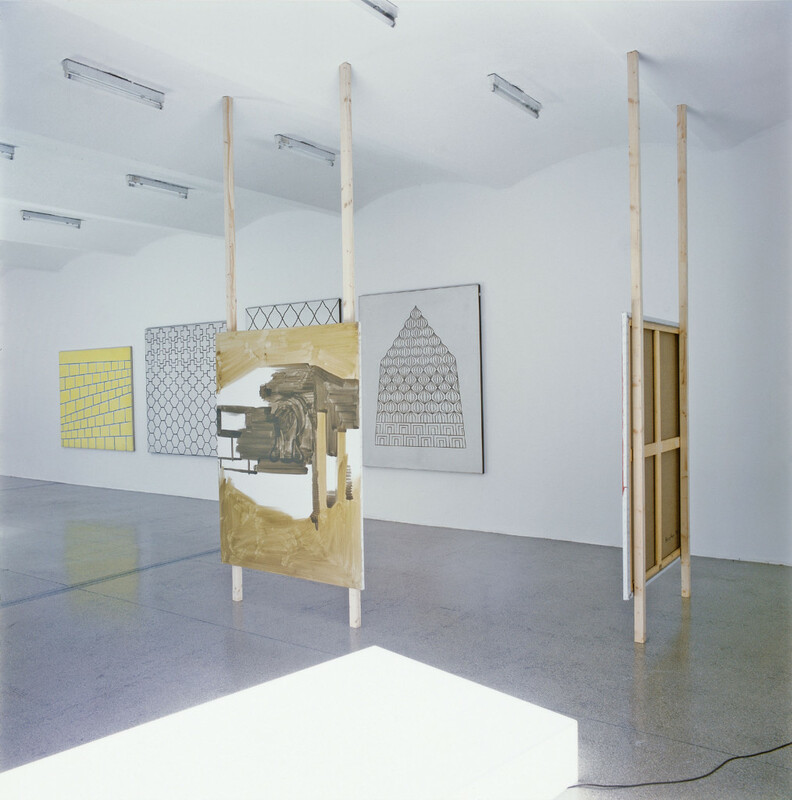 The works thus underscore the impossibility of occupying a place, while simultaneously emphasizing the intention of understanding picture production as not being a replica of a reality. The term place is to be read in a multifaceted way, whether it is spatially, philosophically, poetically, abstractly, politically or methodically. Hier ist Dort 2 debates this theme in the medium of painting, yet without formulating the methodology of painting in a way that is immanent to the medium. Across a broad range of production techniques, the selected works play through forms and rules of visualization processes as the basis for an exploration of the conditions of visibilities. 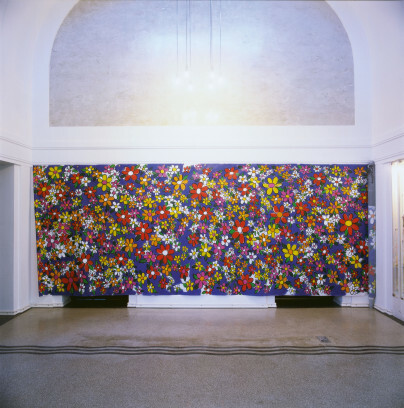 In this context, painting signifies and enables introducing a distance and disrupting the visual program of commonplace, predominating information and its politics. In this way, the exhibition shifts the determination of places to an occupation of places, in which the coordinates of social spaces are negotiated and their media and social constructedness becomes a question. 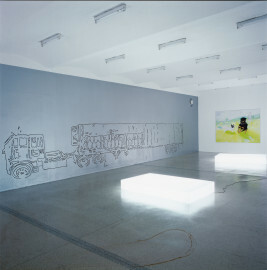 The Mexico-based artist Melanie Smith, for example, investigates how aesthetics influences social behavior, while Andreas Siekmann placed urban development in a scenario in his computer drawings, which is characterized by stock exchange speculation and a changing public sphere. In her wall pieces perforated by photo collages, Amelie von Wulffen treats the inscriptions of social knowledge in architectures in relation to biographical views. Ellen Harvey’s painterly interventions in the exterior space link romantic landscape painting with a tradition of graffiti. Katrin Plavcak draws disturbances in the encroaching indolence in everyday life into the picture itself, whether it is in the form of irony or humor, but also in irritating perspectives that evoke distance. In his artistic practice, Michael Krebber integrates painting as part of a complex system of media and art-historical references to expand a discourse on patterns of perception. Tim Gardner takes photography back into a tradition of aquarelle painting, so that media-shaped urban everyday life becomes the event of the place. 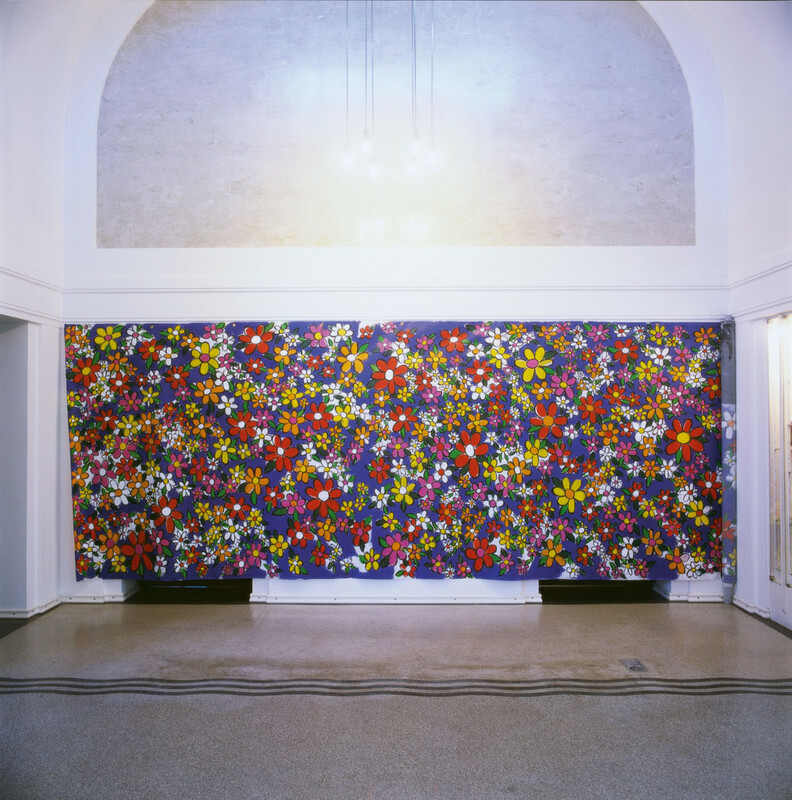 The social spaces that Lisa Milroy describes in large-surface panel pictures stage “real” moments of an individuality, such as communication, leisure, shopping. The works by Hildegard Joos, one of the most important representatives of Op-Art, function like a counter point and a multiple reference point at once in relation to the other works. Within the exhibition, there is a particular interplay between Joos’ works and Esther Stocker’s artistic position. 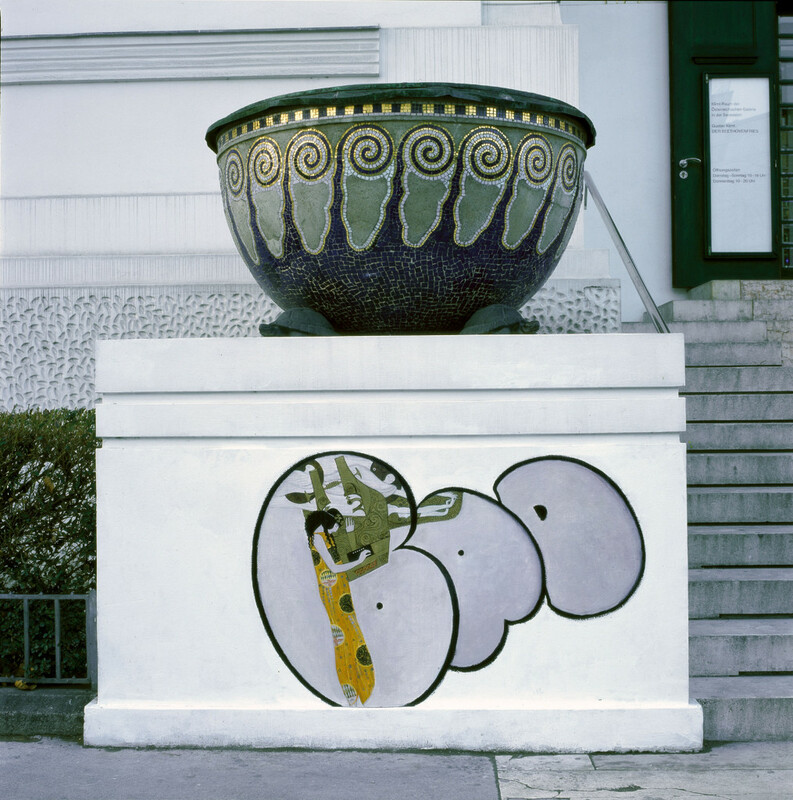 Yet whereas Joos probes the laws of geometry and the symmetry of dots, in Esther Stocker’s works there is a “shift from objects of perception to perception itself” (Martin Prinzhorn). 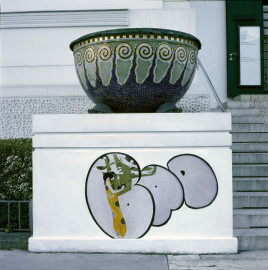 For Hier ist Dort 2, Stocker will develop a wall picture in the foyer of the Secession. Marko Lulic refers in his work to attempts at the beginning of Modernism to conjoin painting, architecture and poster painting: his work for the facade of the Secession is a painted poster using advanced techniques, which unites the formats of panel painting and computer print. 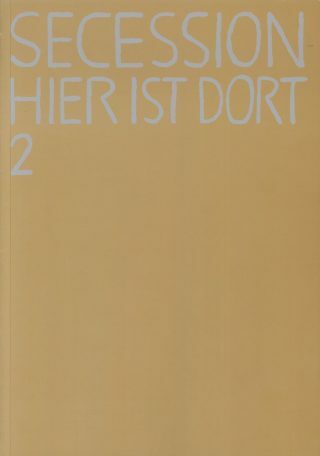 Hier ist Dort 2 is conceived for several international stations. 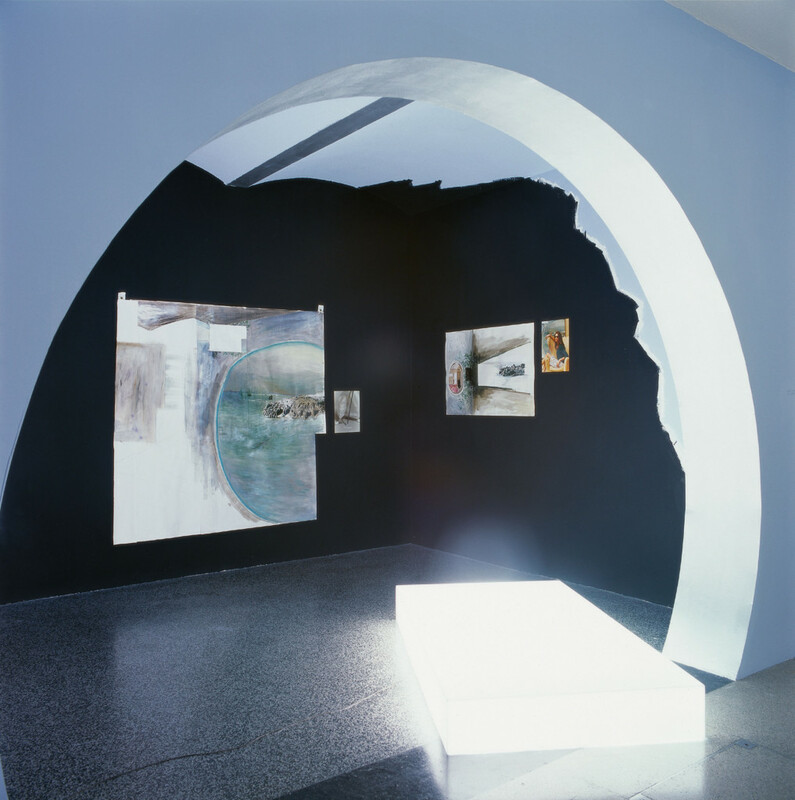 The first exhibition took place from August 8 to September 30, 2001 at the Salzburger Kunstverein and showed works by Peter Doig, Anna Meyer and Lisa Milroy.